I have scoliosis and arthritis in the spine. Because of a stomach problem I am unable to take anti inflammatories. I used to plan my shopping trips in great detail in an effort to keep the distance that I would have to walk and the amount of time that I would be standing to a minimum. Meals out could be a very painful experience despite taking cushions and whatever else I could think of in an effort to make the dining chairs more comfortable for me to sit in for any length of time. Fortunately someone told me about Serrapeptase, they hadn’t actually used it but had had good reports about it. I checked out the site and thought, no it sounds too good to be true, I read the testimonials and they too seemed too good to be true. Nonetheless I thought nothing ventured nothing gained and I ordered one bottle of Serrapeptase. I have just started my sixth bottle. I now rarely take pain killers, don’t have to map out my shopping trips or worry about chairs in restaurants. Obviously it cannot reverse the scoliosis but it has dealt with the inflammation which I now know was the cause of a high percentage of the pain. 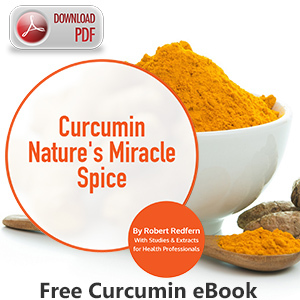 I am about to start taking Curcumin in an effort to reduce my cholestral count – I shall keep you posted on the outcome. My sister has painful feet and has tried many things without any success. After much nagging from myself she started Serrapeptase 3 days ago – I shall keep you posted on her progress as well. On my last visit to my GP I told him about serrapeptase in the fond hope that he would pass it on to other patients ——- he simply laughed, little does he know that the laugh is on him! It is my intention to continue taking serrapeptase indefinately. It is also my intention to bully my GP until I make him see the light!